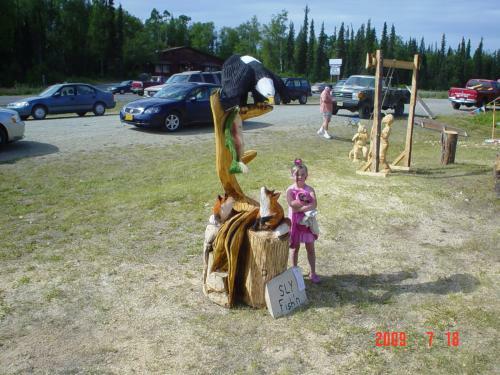 During 2009, Eric participated in a chainsaw carving competition in Soldotna, AK. This sculpture of an eagle and two foxes trying to catch the same fish won third place. This brilliant design is created out of one seven foot spruce log with no add-ons. 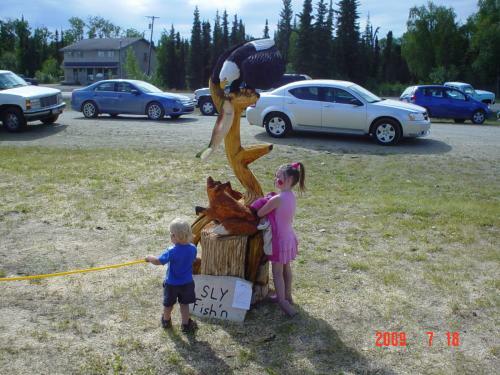 This is another view of the 2009 Sly Fishn competition piece Eric sculpted in Soldotna, AK. The two youngsters in the picture are Eric's children. 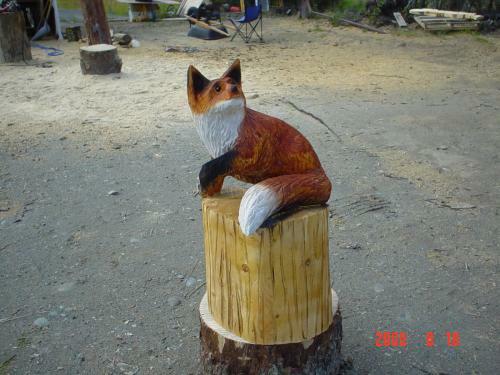 Another new item to the 2009 collection, the red fox is carved with a curious expression on its face. This particular piece was created out of Alaskan spruce and is about three feet from the bottom of the stump to the top of it ears. 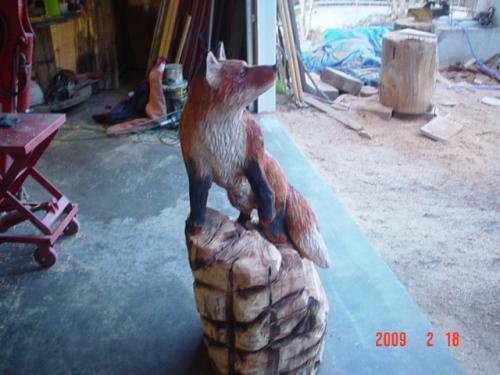 The Red fox on rocks was carved out of Western red cedar and is part of a bench sculpture that Eric created for the 2009 collection.